Ever since Peter Capaldi announced he’d be handing over the key to the TARDIS after Doctor Who season 10, the rumor mills have been cranking out all manner of speculation on who would replace him as The Doctor. Various reports have indicated that Love Actually’s Kris Marshall was in the running, as well as Buffy The Vampire Slayer’s Anthony Stewart Head. And, in a somewhat less expected move, The IT Crowd’s Richard Ayoade was also reportedly under consideration to play the Time Lord. But Nerdist claimed to have reason to think the casting of the 13th Doctor will break even more boundaries. 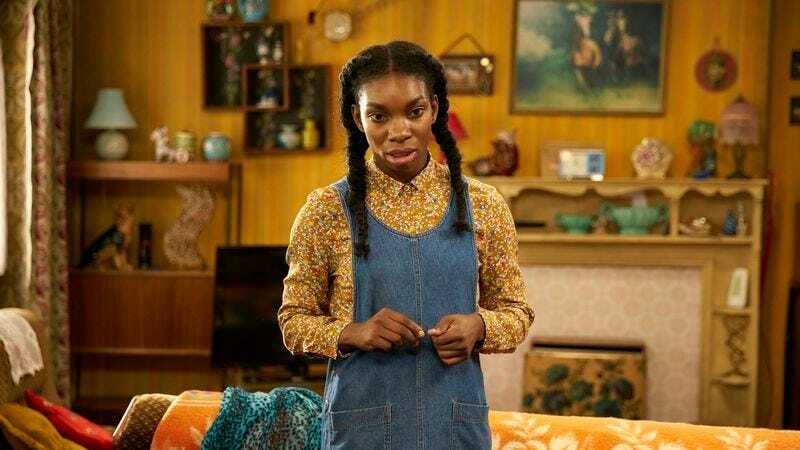 According to Nerdist’s unnamed sources, Chewing Gum creator Michaela Coel is the frontrunner to take on the role after Capaldi departs at the end of the current season. The comedy is one of Netflix’s few black-led shows, and Coel commands the screen in every episode, which she also wrote. She’s a charming, energetic performer who also shows plenty of depth as a virgin with a Beyoncé obsession, so playing a 2,000-year-old being from another planet should be a snap. But the publication also hedged its bets, noting that when asked directly for comment, BBC America said no casting decisions have been made.